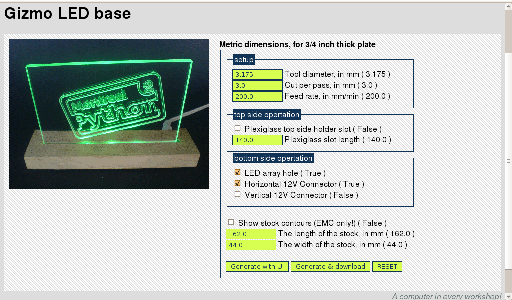 This page contains links to Python scrips that generate simple G-Codes for LinuxCNC. For me to fire up a high dollar CAD program and the use the POST processor to generate simple routines is a time waster. So I'm writing a series of Python programs to do this. 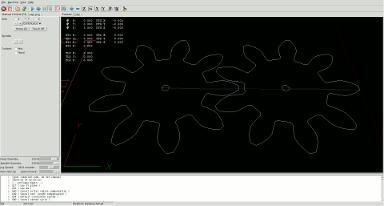 If you did an LinuxCNC install with Ubuntu you are good to go you have all you need. Make sure you make the mods to your ini file so you can open these up from Axis and paste the generated code directly into Axis... as shown at the bottom of the page. The programs will do Facing, Pockets, Slots, Drill Patterns etc. When they are all finished I'll package them all up into one. 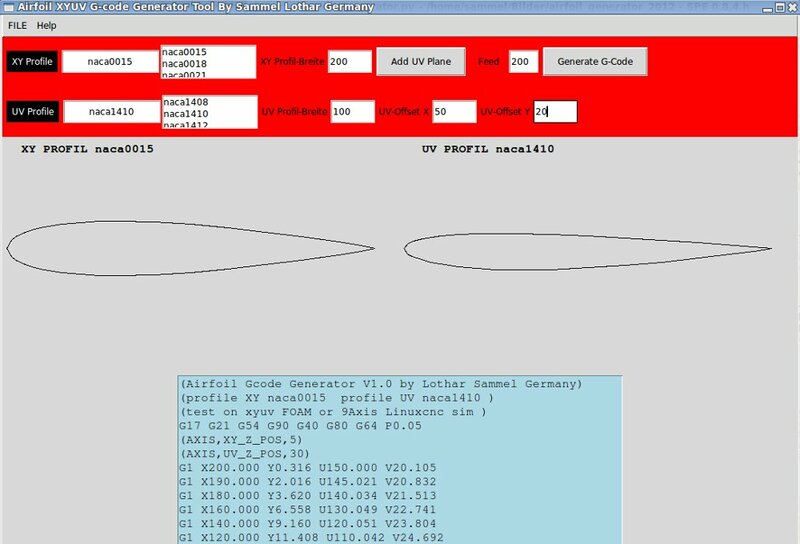 The start point for the arc and the G2/3 code for the arc are generated. There might be a couple of bugs left in the code. If you find one e-mail me and I'll fix it. 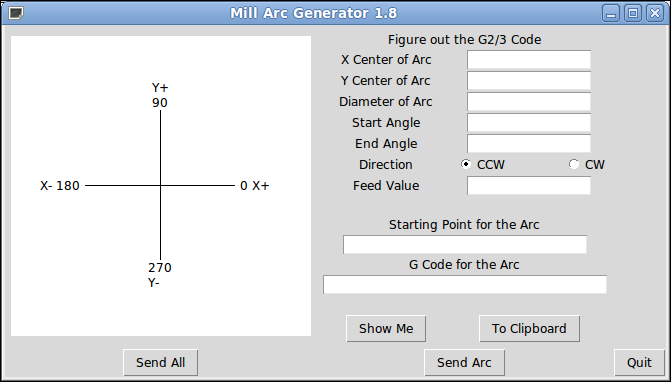 upload:Arc%20Tutorial%202.odt A more advanced tutorial on making arcs. NEW a version of Arc Generator for front tool lathes. upload:arcbuddy14.py Version 1.4 adds send to axis with a feed rate so it will actually run. 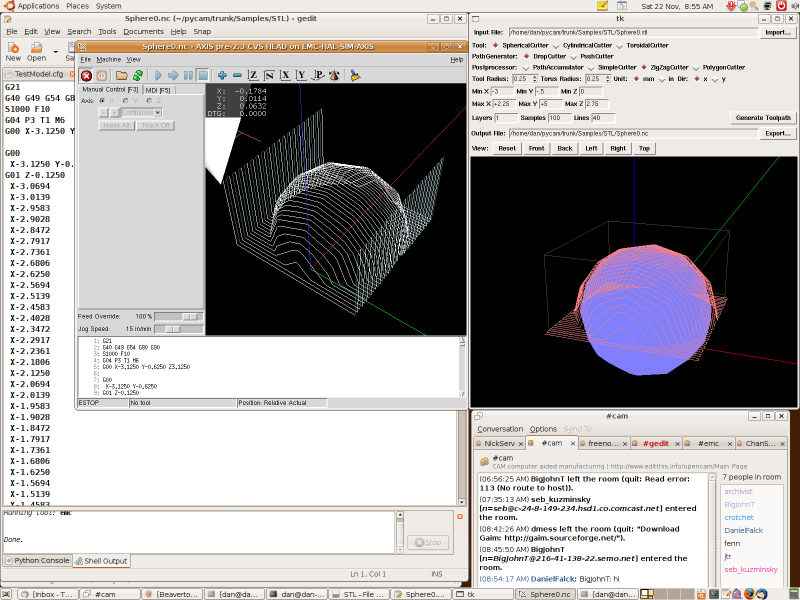 upload:arcbuddy15.py Version 1.5 adds the ability to use in Gedit and refined to have a choice of what to send. 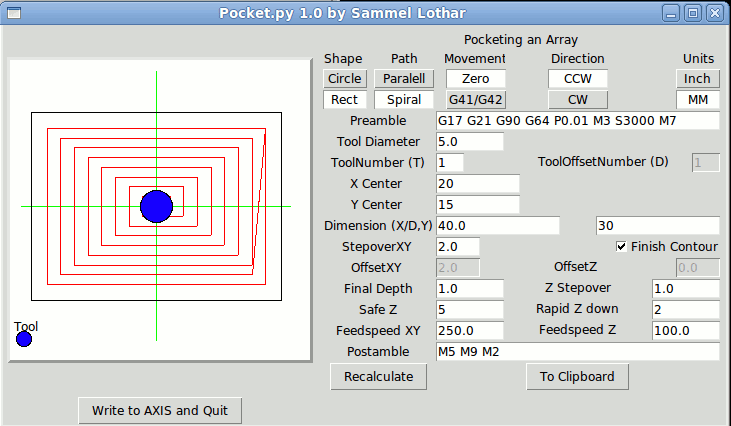 upload:arcbuddy16.py Version 1.6 9/2014 you can actually layout a path and create the G code for that path. This is a slightly different version of Arc Buddy that was modified by Sebastian Jardi Estadella for use in gEdit to insert the gcodes. The instructions for use with gEdit are in the comments section. The facing software is super simple. You input a few things and press a button and your code is saved to your NC directory ready to open in LinuxCNC! upload:face.py Version 1.4.0 Last Updated on 2012-07-13 License is GNU license. One step file save after setting the NC File Directory Option. Vertical Scroll Bar added to text box. Can leave Depth of Cut, Spindle Speed and Stepover blank. NC File Directory is saved to an .ini file! If you open in Axis you can directly save the g code to Axis!!! 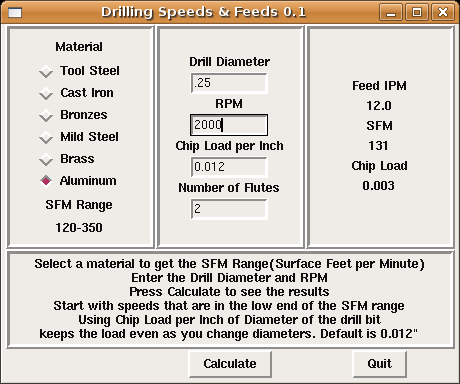 This program generates a circular array for canned drill cycles in a mill (ie 'bolt circle'). This program used face.py as a template, so it looks very similar. Some of the entry widgets have predefined values in them. Look carefully at these before pressing the 'Generate G-code' button (-Dan Falck). Note this generates a snippet of G code intended to be inserted into your G code. 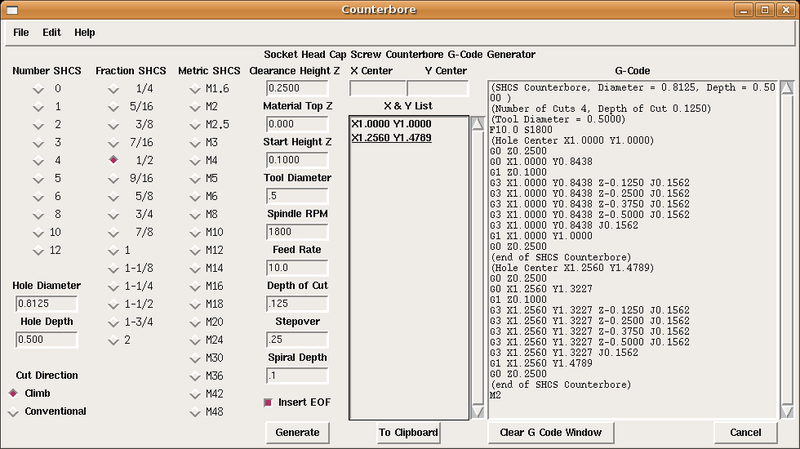 This software generates the G-code for counterbores for socket head cap screws. If you have any comments just e mail me Big John T.
Pick a SHCS from one of the three lists and it puts the standard diameter and depth in for you. 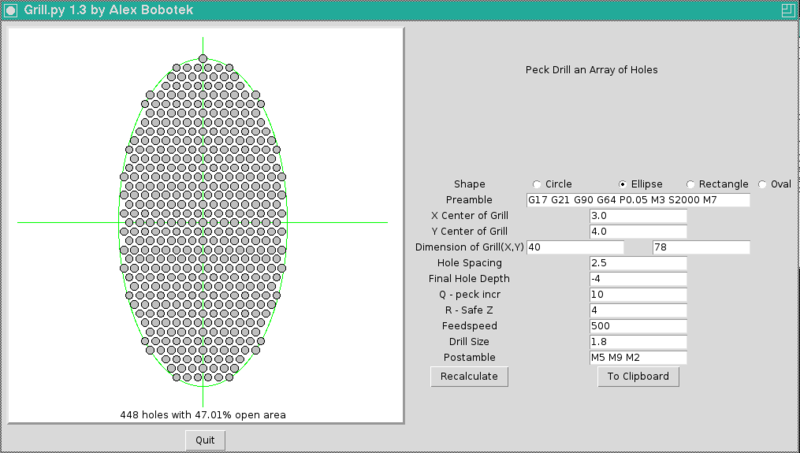 Minimum entrys needed are hole diameter/depth, tool diameter and location of the hole. 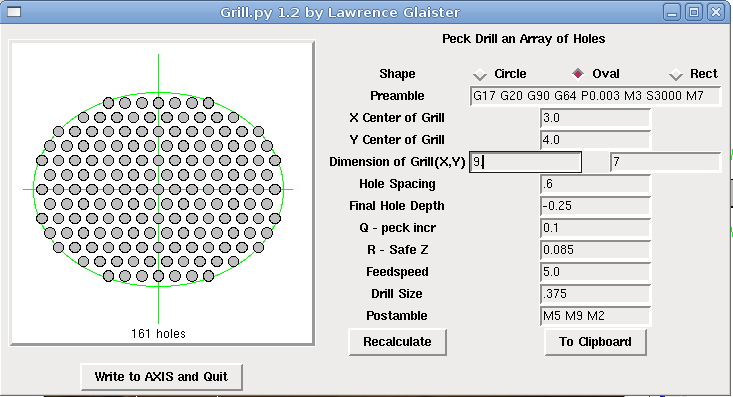 M2 end of file option if you have to generate several size holes only use it on the last hole. Editing of X & Y list with mouse clicks on item. Maintains order if one is edited and put back. 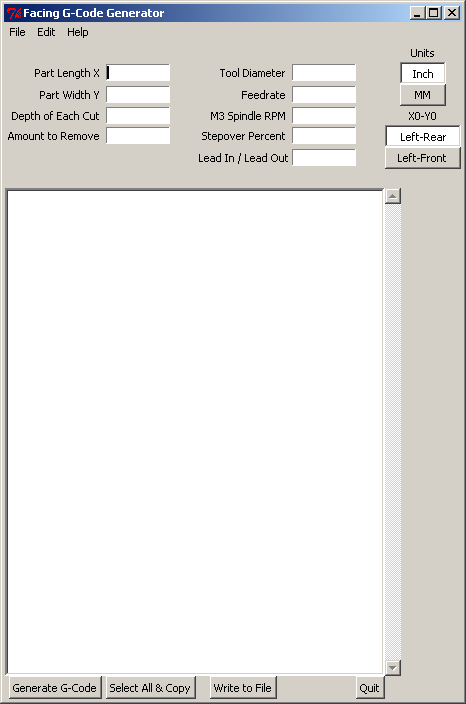 Speedy entry using number key pad and the key pad enter key for locations. as ventilation holes in a chassis panel. 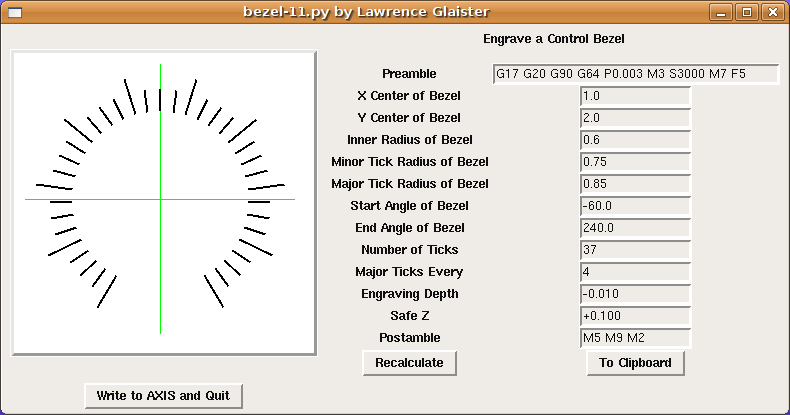 This software engraves a bezel like you would see on the front panel of a stereo around the volume control knobs. 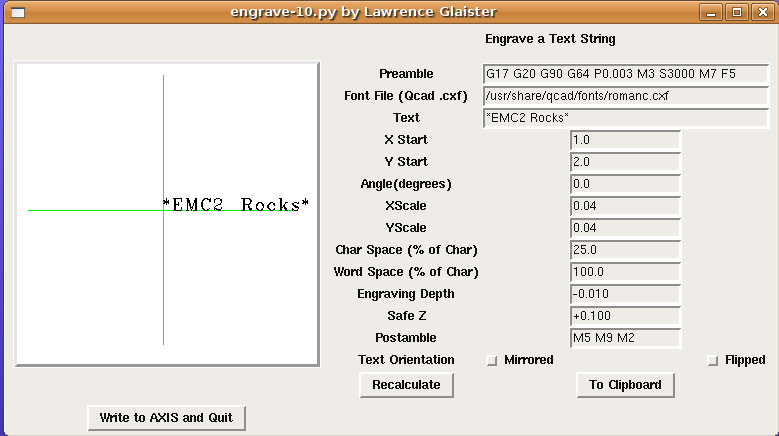 This software engraves a text string. This software is a command-line program based upon the above engrave-11.py by Lawrence Glaister. 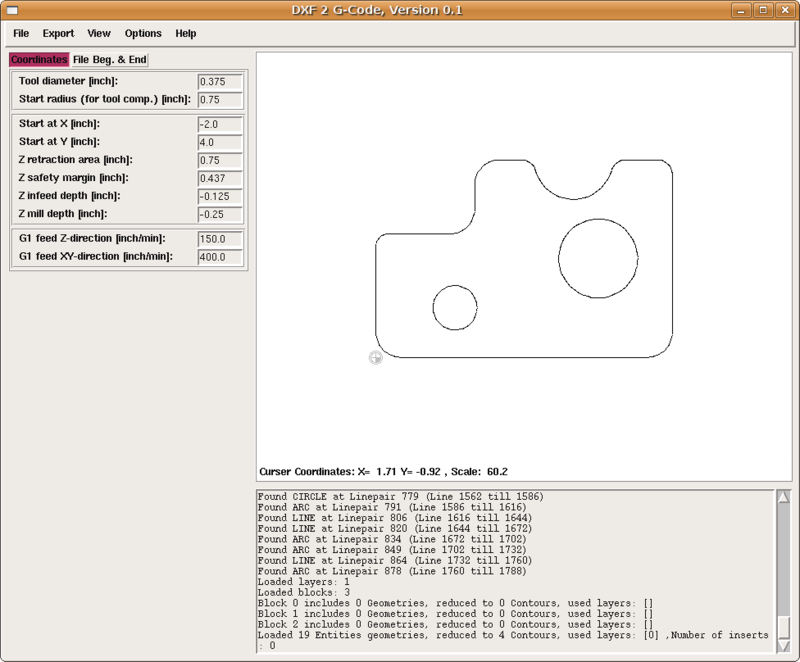 This program seems to work pretty well with DXF files from QCAD. 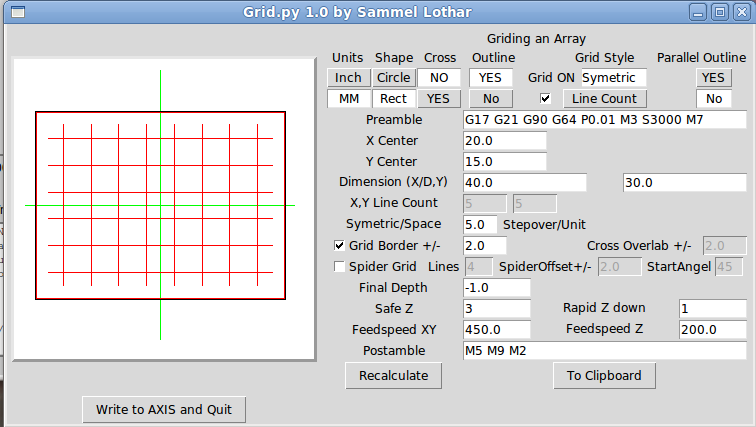 checking Zero Border on the grid if it not harming the outside Shape! Now all shapes and functions are includet Aug_2010! [CP1] is a conversational machining program written by Ray Henry and Matt Shaver with additional MOP's by Lawrence Glaister. To download a file right click on it and select "Save link as"
Right click on the .py file in your file browser and select Properties. On the Permissions tab check Execute on the Owner line. A script for Blender. It can generate gcode ideal for LinuxCNC :) it exports from mesh ( vertex / edge / edges (outlines) / objects ) to 2d, 2.5d and full 3d for (3axis mill).